Welcome to the first ever installment of our new series; Recipe of the Week! 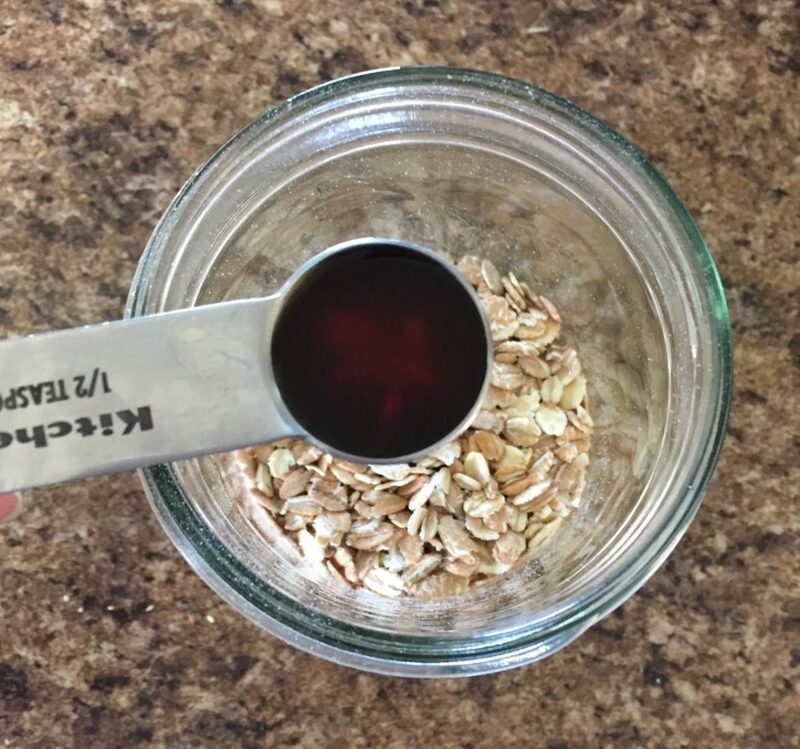 For each bi-weekly blog installment, we will be choosing a recipe from our Pinterest page that features maple syrup, and giving it a try in our kitchens at home. Afterwards, we will let you know how it went, including any challenges we discovered or changes we made. We encourage you to try it with us! We will be posting a link to the recipe on our Facebook page as well as on our Recipe of the Week Pinterest board early in the week so you can also try it and share your experience. Together, we will determine if the recipe should be a permanent addition to our recipe boxes. 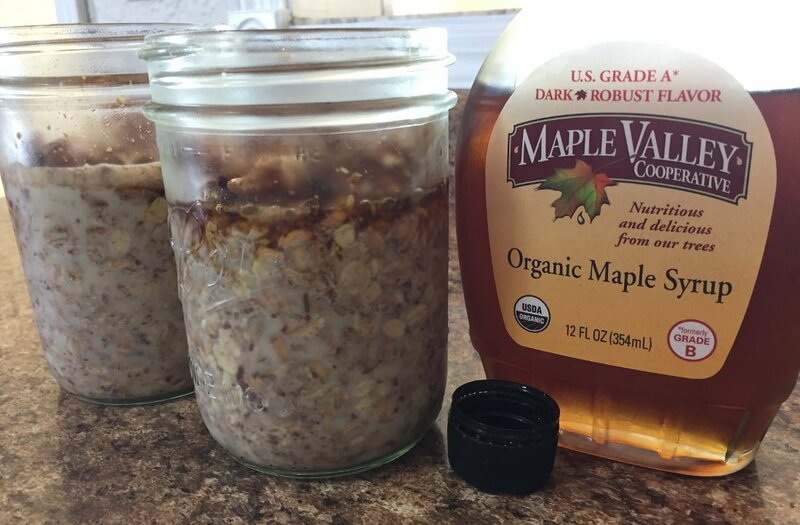 This week, Alex, our Customer Service & Shipping Manager here at Maple Valley Cooperative, decided to try her take on Maple, Brown Sugar, and Cinnamon Overnight Oats from blogger GF with LB. See how it went below, and let us know in the comments how it went for you! Follow us on Facebook, Pinterest, or Instagram to stay tuned in for the next installment of Recipe of the Week in two weeks! 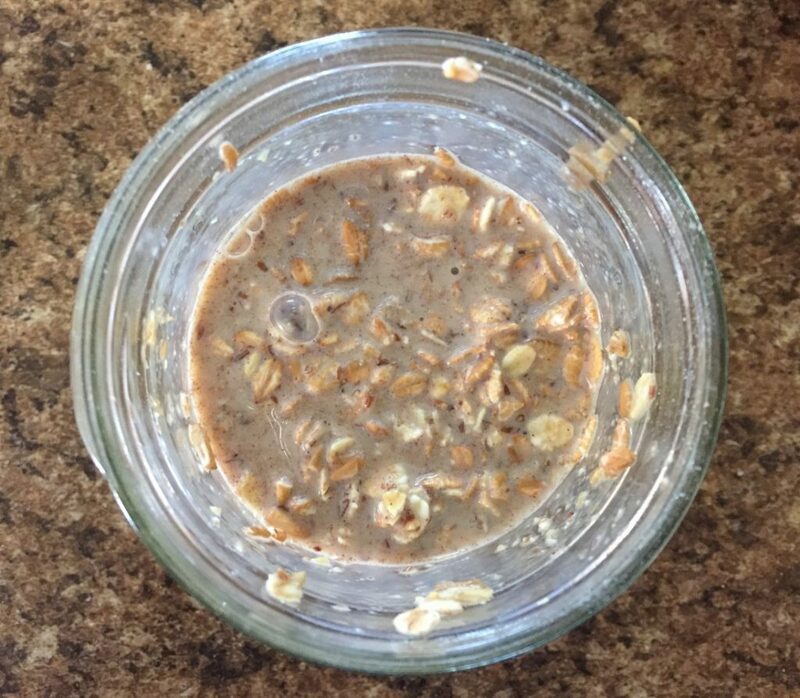 Alex here to share my attempt at overnight oats. 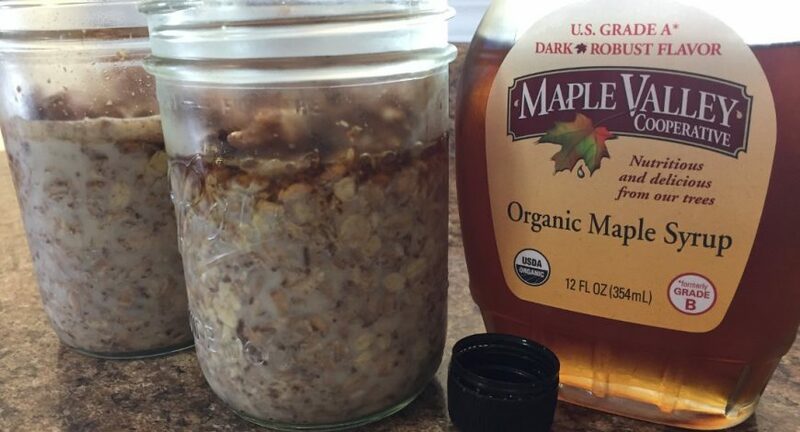 I decided to follow this recipe, Maple, Brown Sugar and Cinnamon Overnight Oats by GF with LB, but with a few changes. 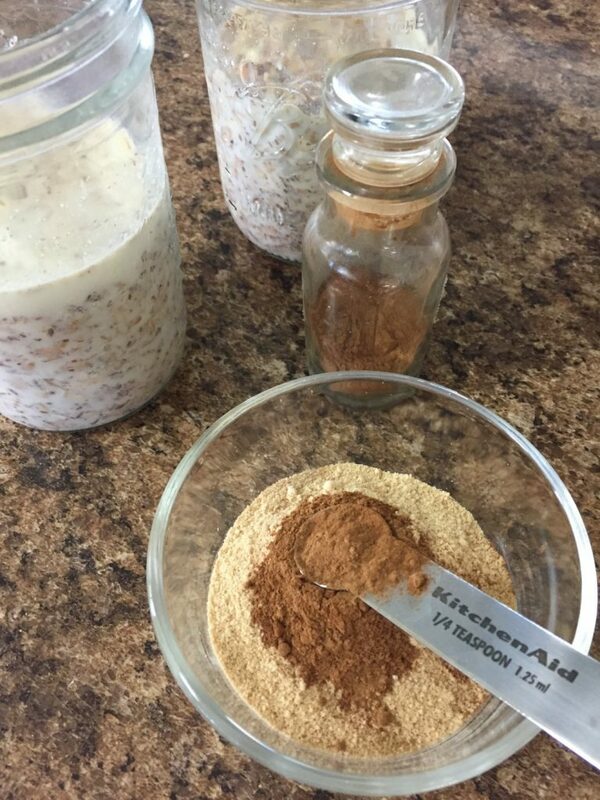 If you want to give it a try on your own, head on over to her page for the actual recipe. First things first, gather your ingredients! I decided to make a few adjustments to the original list based on my own preferences. 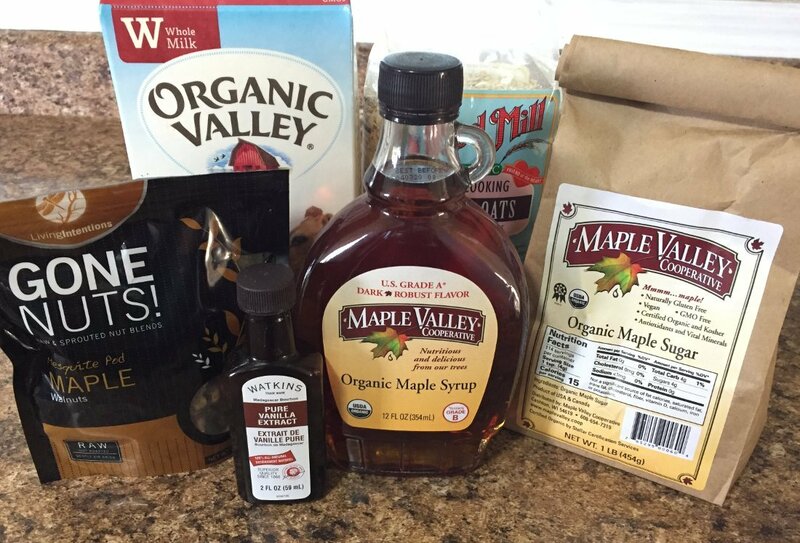 I am using Maple Valley Organic Maple Sugar instead of brown sugar (a person can never have too much maple in my opinion). Also, I chose to use Organic Valley whole milk instead of almond milk. Finally, since I didn’t have time to toast pecans as the recipe calls for (and also, why not add a little more maple? 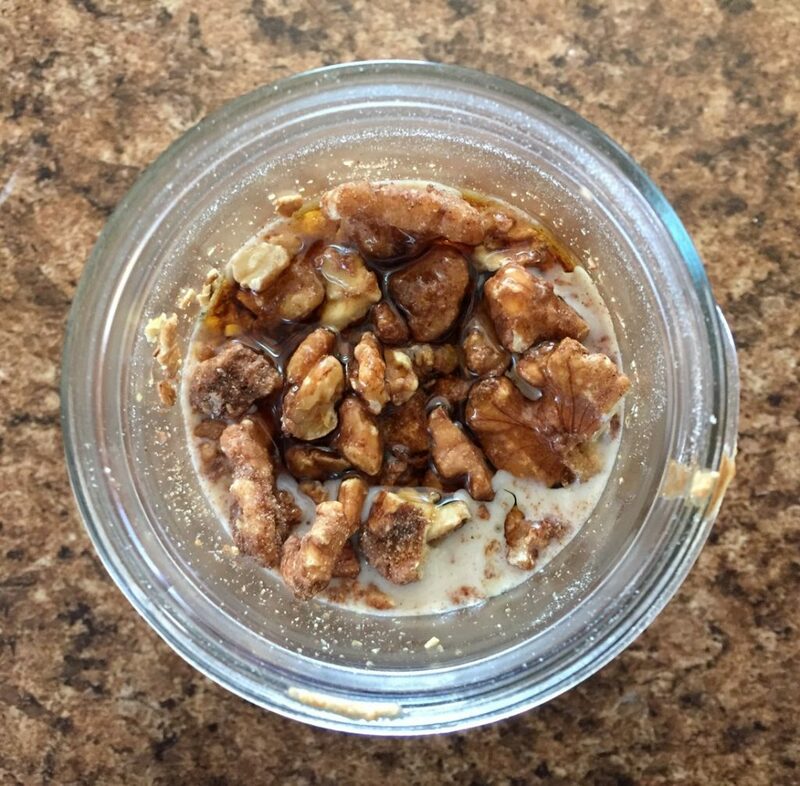 ), I decided to try some mesquite maple walnuts from Gone Nuts! company. 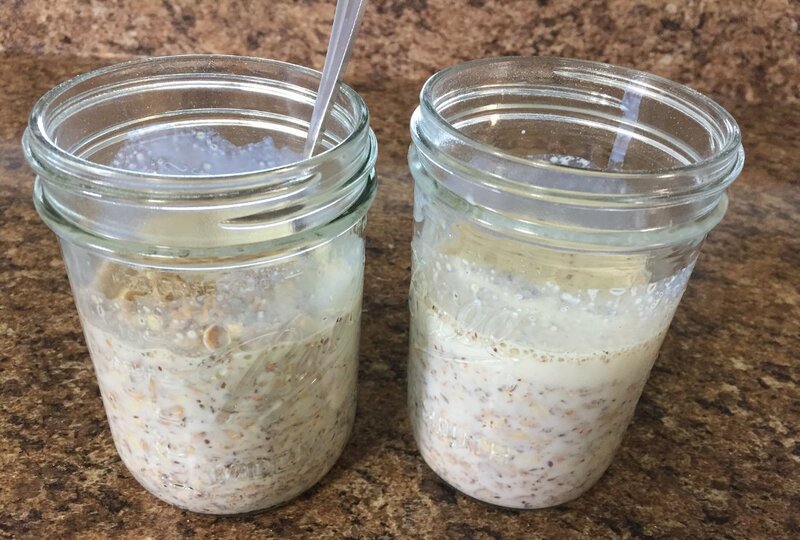 The recipe first calls for a cup of oats in each jar. 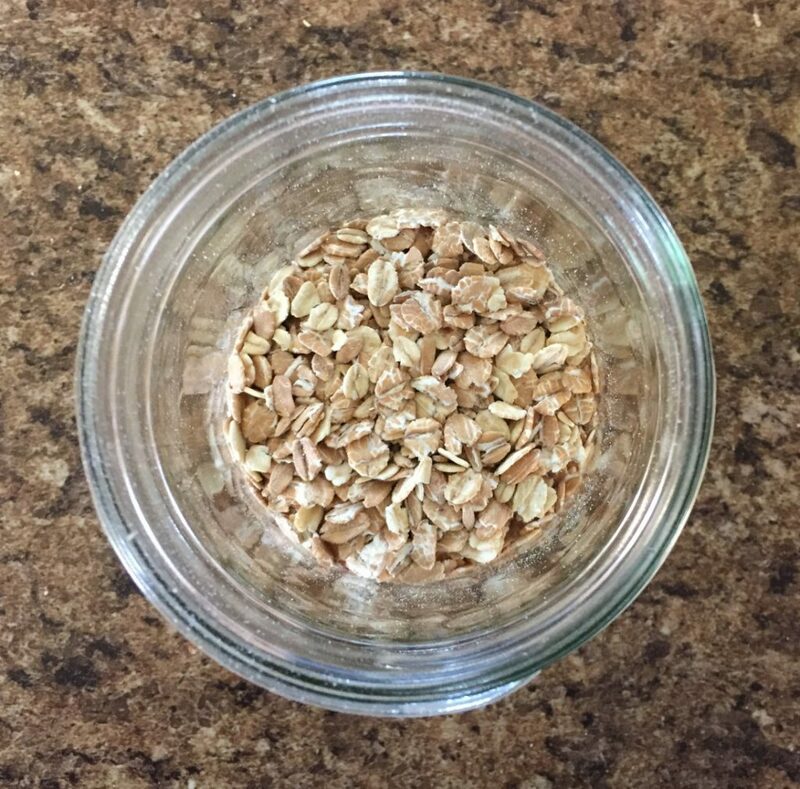 I am using Bob’s Red Mill brand organic quick cooking rolled oats. The next step calls for 1/2 teaspoon of vanilla in each. I chose Watkins vanilla which is a local brand for us. Next is a cup of milk. 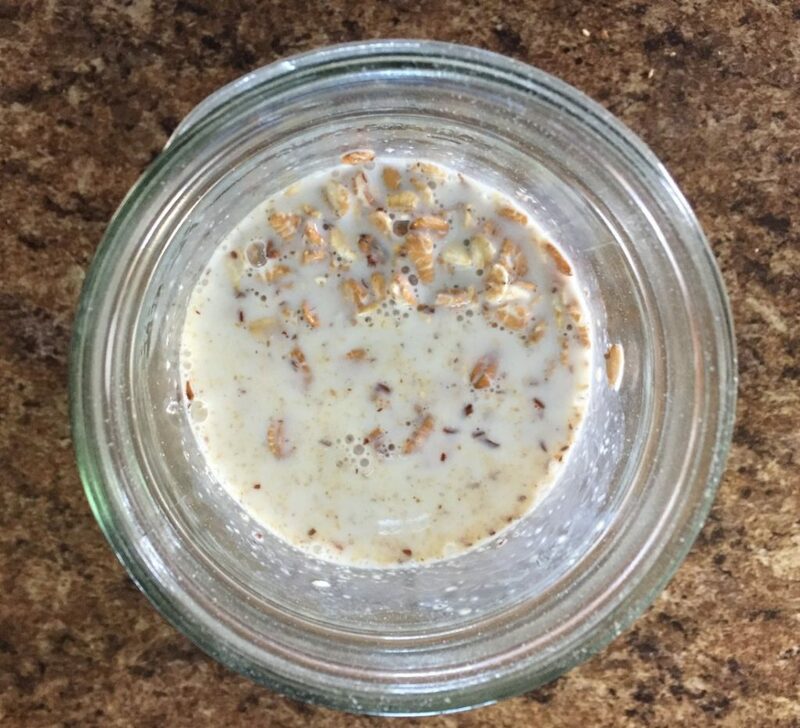 As mentioned before, the recipe calls for almond milk. However, I am trying it with Organic Valley whole milk (they are another local brand here). As instructed, I stirred those together and set the jars aside. 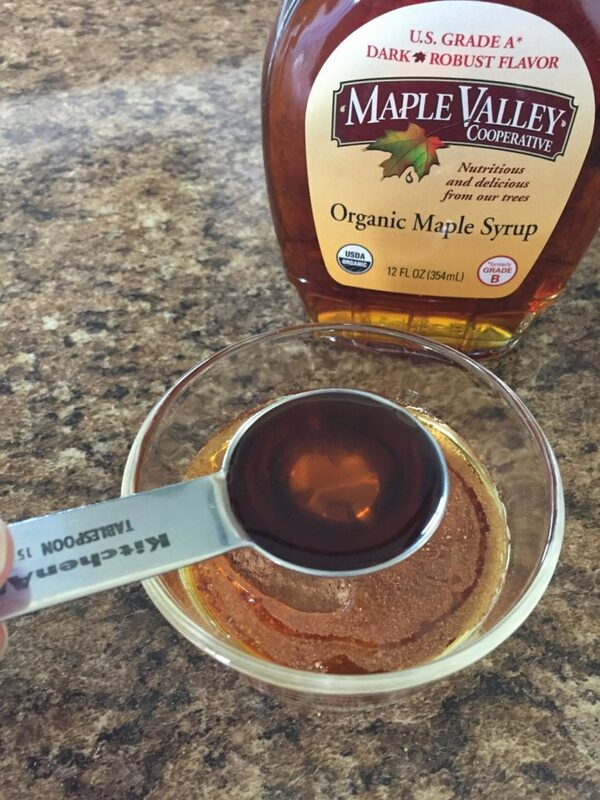 In a separate bowl, the recipe calls for 3 tablespoons brown sugar, 3/4 teaspoon of cinnamon, & 3 tablespoons of maple syrup. 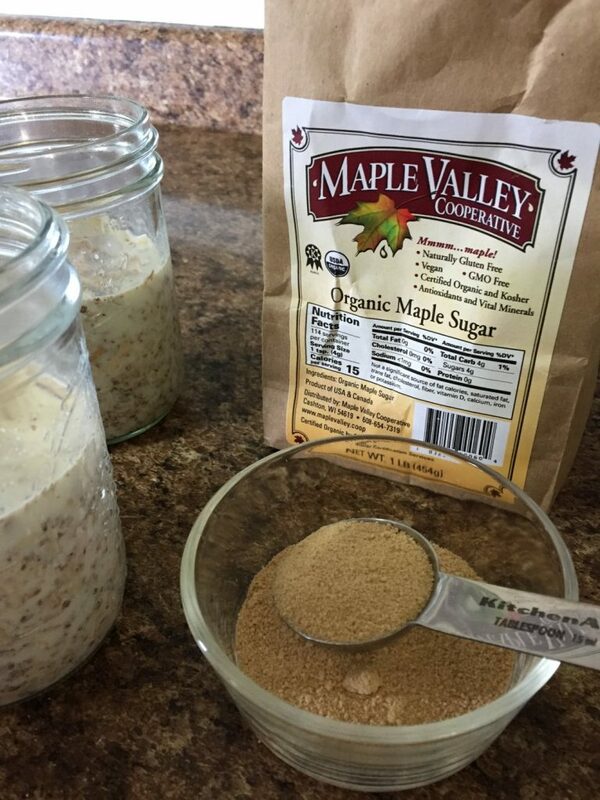 I decided to use Maple Valley’s Organic Maple Sugar in place of brown sugar. Yum. 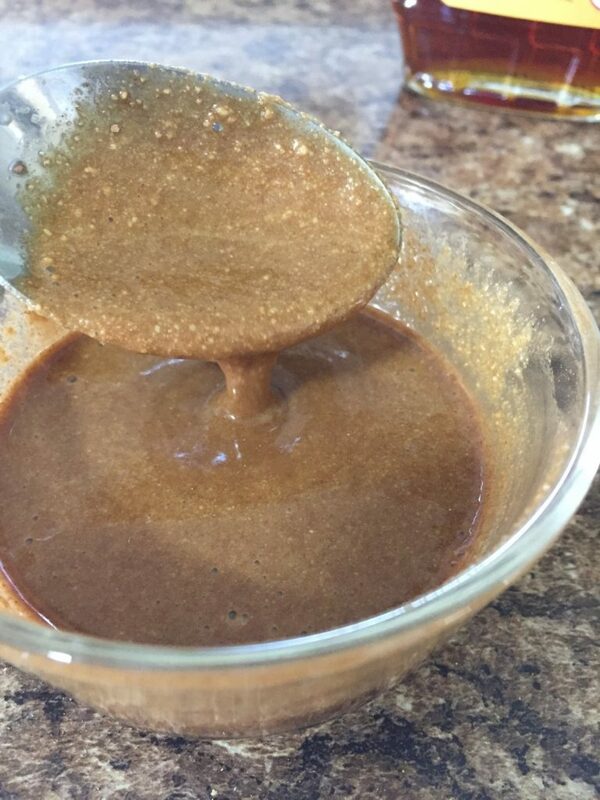 I mixed that all together until it had a thick, syrupy consistency. I admit, I tasted it. (The cinnamon maple goodness was irresistible!). It was delicious. I may need to try this mixture elsewhere in my kitchen. 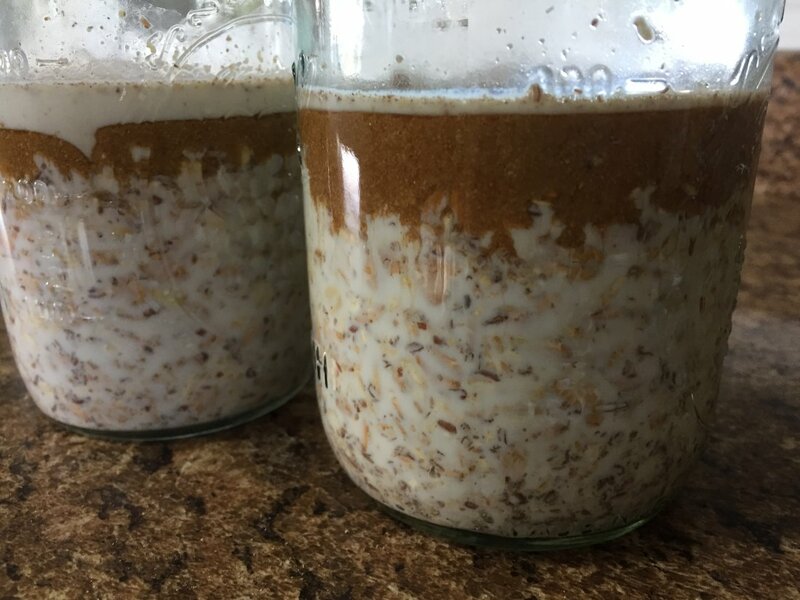 Check out the awesome layering that happens when you add mixture two to mixture one! Sadly, it can’t stay layered. Gotta mix it up. At this point, they go in the fridge overnight. Fingers crossed for delicious results in the morning. Here’s how they looked the next day. 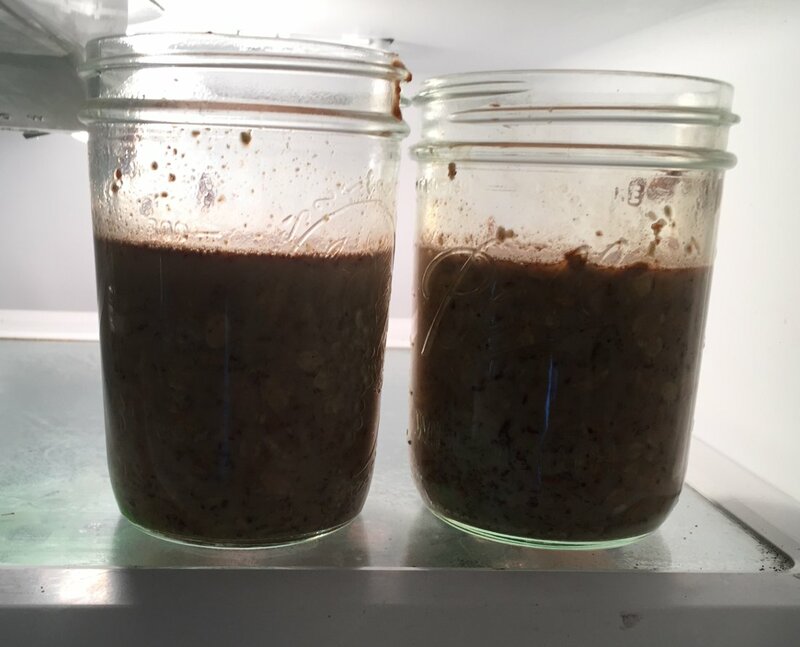 A lot of the liquid was absorbed overnight. 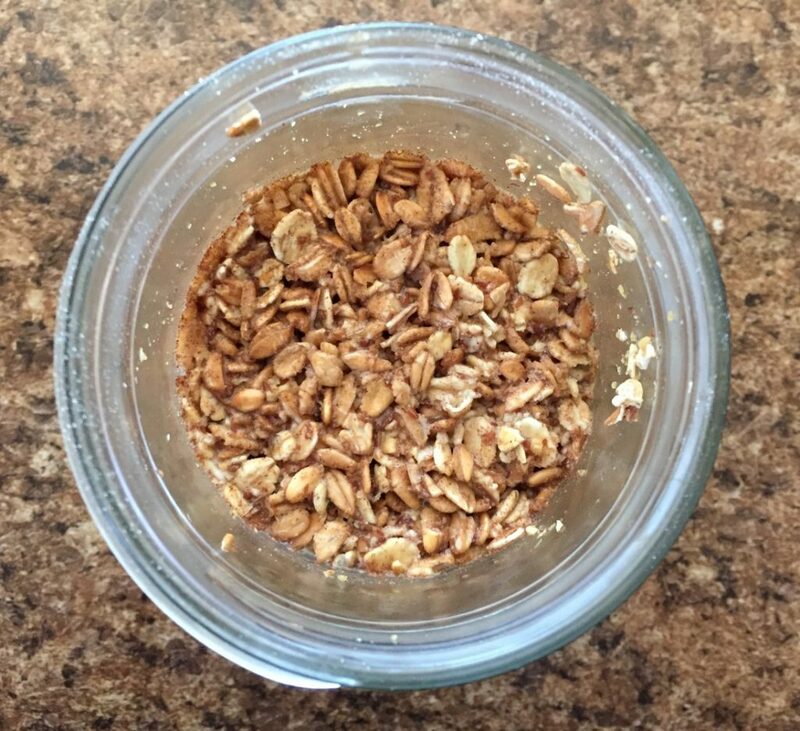 At this point, the recipe calls for freshly toasted pecans. As delicious as this sounds, I don’t have that kind of time in the morning. 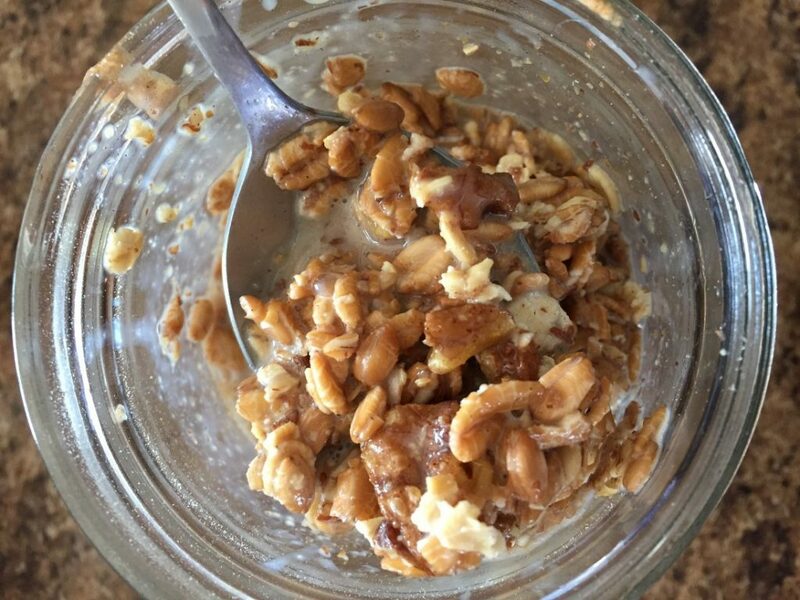 Instead, I added my room temperature mesquite maple walnuts from Gone Nuts. I also added an extra drizzle of maple syrup, because, why not? I stirred it all together and gave it a taste. This basically ended up tasting like cold oatmeal. 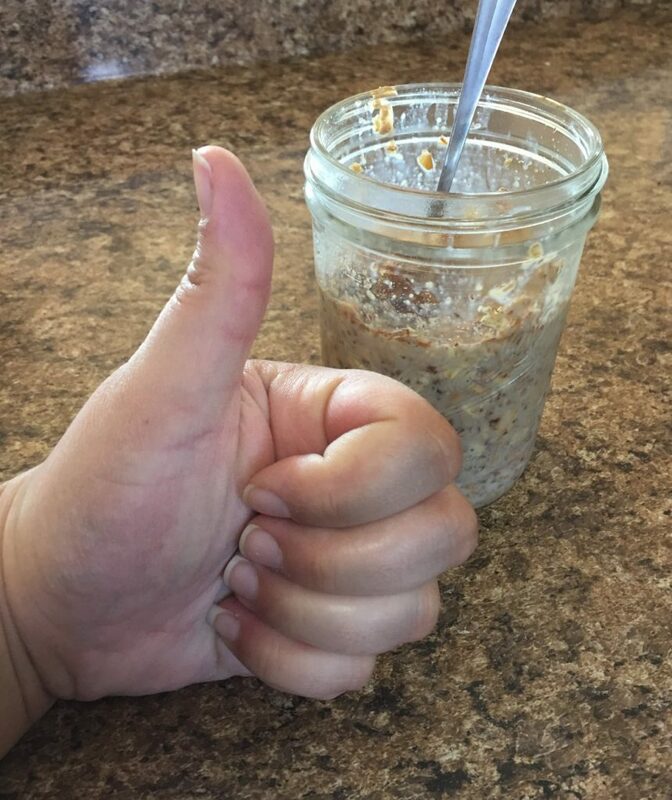 It was good, but I prefer my oatmeal warm. I ended up leaving it sit for a while to warm up before eating it, which improved the experience. I am guessing the original recipe called for toasted nuts to help with the temperature factor. In the future, I might warm this up before eating it. In all other aspects, this was a winner. I really enjoyed the ease of grabbing it from the fridge, putting a lid on it, and taking it to work with me. It was also quite simple to make. This one is definitely going in my regular breakfast rotation. Did you try this one at home? What did you think? Let us know in the comments below!